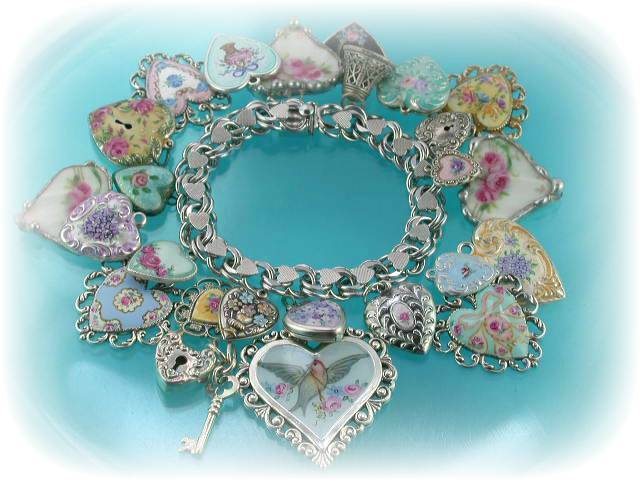 Vintage sterling heart charm bracelet very similar to the artist's! 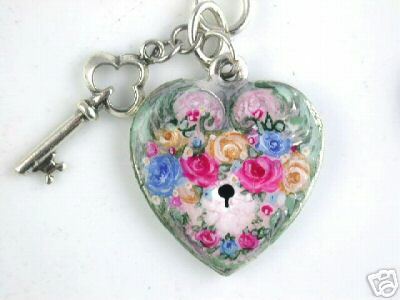 Featuring exquisitely hand painted floral designs, delicate porcelain hearts, padlocks and even a little bell that rings! 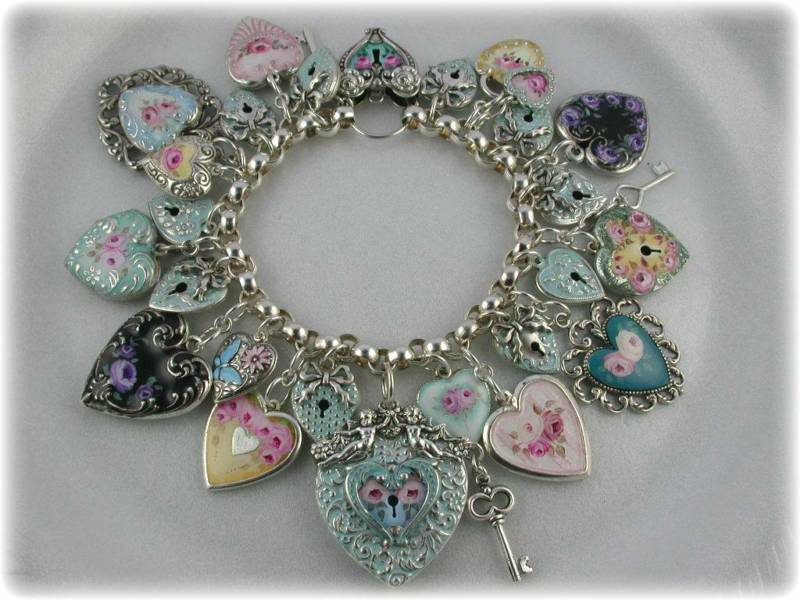 Bracelet shown is sold but can be replicated.